You’ve worked hard to launch your WordPress website. Now that it’s up and running you can relax, right? Not really! Let’s face it: you are never truly finished with a website. It requires monthly maintaining, securing, updating, and optimizing—forever. In fact, according to the National Small Business Association, the two biggest challenges that small businesses face with their website maintenance are time and cost. Have you been curious what it would be like to hand over your WordPress website maintenance to someone else? Maybe you fantasize about the time and hassle you’d save relying on another person to shoulder the burden. The problem is that you don’t know whether or not using a WordPress outsourcing service is safe, cost effective, and smart. If you’ve been hesitating to outsource your WordPress maintenance, then these frequently asked questions may help you decide. 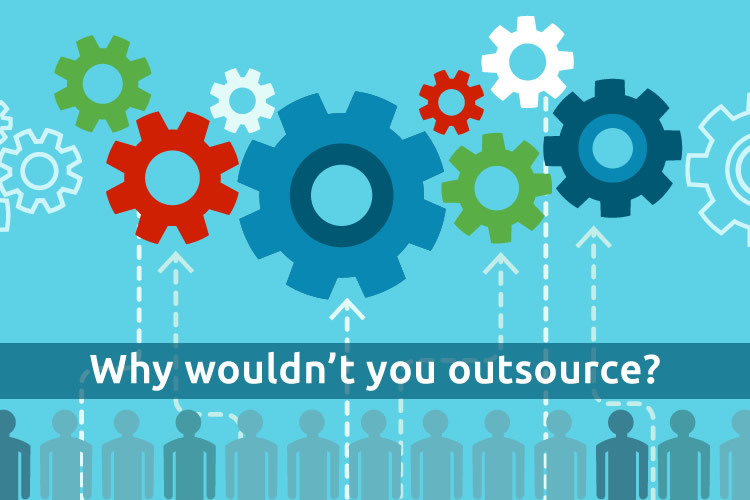 1) What are WordPress outsourcing services? When you hire a provider outside of your company to manage and maintain your WordPress website, you are using WordPress outsourcing services. Sometimes this term also refers to WordPress support. There are different types of WordPress support service providers. For example, there are companies, such as AccessWP, that specialize in WordPress support services as their primary and only offering. Or, there are freelancers, virtual assistants, consultants, and contractors that provide WordPress support in addition to other technical or business administrative services. 2) Why would I outsource my website maintenance, especially if I can do it myself? Although you may have enough knowledge to maintain your site, you may not have the time. As a busy business owner, your primary focus needs to be on the business, not in the business, especially if you want to succeed and grow. Even if you do have the time, should it be spent on something that can be outsourced to experts? Probably not. Your time is better spent doing tasks that scale your business and that can’t be outsourced. While the cost of outsourcing your WordPress support may seem more expensive at first, it probably says you money in the long run. What about hiring a full-time employee for website support? That’s certainly going to set you back more money than a monthly plan from a WordPress outsourcing service. Outsourcing usually means that an industry expert will be working on your website. Do you have that kind of technical, detailed knowledge of WordPress? Unless you’re a WordPress developer, the answer is no. You and your customers benefit from an expert’s WordPress knowledge. You enjoy a hassle-free, secure WordPress existence that results from having an expert maintain your site. As for your customers, they will have a better user experience, including enhanced security, updated content, and a faster site. You’re never finished updating your WordPress website. When you’ve got other things to do, dealing with WordPress is a burden. Sure, you can open your WordPress dashboard to make one change. Until you discover all of the other things your website needs. If you lack expertise, you’ll need to search in Google and YouTube to find a fix for whatever isn’t working on your site. Then it’s down the rabbit hole for you! Hours later, you may have fixed the problem but not without hassle. Outsourcing your WordPress maintenance saves time, money, and hassle. You get so much more than just peace of mind (although peace of mind is another awesome reason)! 3) Is it safe to outsource my WordPress support? If you choose an experienced, reputable, and reliable provider, then outsourcing your WordPress maintenance is a safe alternative. Your site is your business, brand, and income generator. Assigning admin access to anyone is a big deal. It’s like giving away the keys to your castle! Outsourcing your WordPress support without consideration and caution could result in an unfortunate and costly situation. An inexperienced, unreliable, or untrustworthy resource could cause a site issue that hurts your revenue and brand—or worse. Request a reference and do research before hiring an outsourcing service. You want to choose your outsourcing provider carefully just as you would an internal employee. 4) How can a small business afford to outsource WordPress support? There are several reasons that WordPress outsourcing services are affordable for small businesses and entrepreneurs. Some WordPress outsourcing services are available on a monthly, subscription-based plan. This saves you money since you’re not paying by the job or by the hour. With a monthly plan, you have the added benefit of budgeting your site expenses so that there are no surprises each month. A nice companion to the monthly plan model is unlimited support. With unlimited support, you pay a monthly fee for an unlimited amount of jobs. Think about the money you save! Plus, you save time and hassle. You pay once a month and don’t have to deal with the extra accounting or administrative tasks associated with freelancers and consultants. If you were to hire an internal WordPress expert or on a retainer basis, your expenses could skyrocket. Paying an expert by the hour or task can quickly eat into your profits! With WordPress outsourcing services, you can afford industry expertise without the high price of another employee or a contractor. Outsourcing your WordPress support is one of the most cost-effective methods to maintaining your website. 5) Isn’t it easier to hire a WordPress developer? Before you hire anyone, you have to find them first! Locating the right WordPress expert can be time-consuming and costly, especially if you don’t have a human resources department. As I mentioned, you don’t want just anyone managing your website, so you’ll want to scrutinize candidates. After you’ve hired an internal developer, remember that you need to manage that person as well as cover their salary and benefits. An employee needs guidance, performance reviews, and career training. And, unlike an outsourcing provider, you can’t necessarily let an employee go easily if things don’t work out. Remember, too, that an employee costs much more than a monthly support plan. For instance, the mid-level monthly plan at AccessWP is under $2400 a year. There’s no way you’d hire a full-time WordPress developer for so little. 6) Will it take extra time to manage an external WordPress developer? Hiring a WordPress outsourcing service doesn’t have to add effort to your busy schedule. In fact, an external provider could be easier to manage than an employee, depending on your process. Each WordPress support business is different. At AccessWP, there isn’t much hand-holding and managing for you to do. Our process is as simple as emailing your changes to us. Our developers are U.S. based, so you don’t have to deal with timezone differences or language barriers. 7) Can’t my virtual assistant handle my WordPress changes? Virtual assistants support many tasks and offer varied services. However, many times they aren’t WordPress experts. There’s a good chance you’ll still need an industry expert with more technical experience to solve your WordPress woes. With a WordPress outsourcing service, you’ll receive support for a wider range of tasks. It will feel like you have a WordPress virtual assistant! 8) What’s the difference between hiring a freelancer and a WordPress outsourcing service? A WordPress outsourcing service offers budget-friendly, long-term site support on an ongoing basis. Freelancers, on the other hand, tend to work by the project or by the hour. The differences end up being cost, flexibility, manageability, services, and ease of use. With an unlimited monthly plan, an outsourcing service can support your needs at a fixed cost. Since you receive an unlimited amount of requests, your options are flexible and as simple as sending an email. Better yet, your expenses won’t increase as your workload does. A WordPress outsourcing service employs a team of developers who collectively manage your site. You aren’t dependent on a single resource to get work completed. With a freelancer, you rely on one person to manage your needs, which can be an issue if you need something completed quickly on in an emergency. When it comes to keeping your site running, updated, safe, and secure, a freelancer is a single point of failure, which isn’t the best plan for your business. Quality outsourcing services offer added protection and guarantees that freelancers do not. 9) How does outsourcing WordPress support compare with an internal team? As I covered previously, outsourcing can be more affordable, effective, and easier than hiring an internal development team since you don’t have to hire, manage, and pay employees. That said, if you want in-person, face-to-face meetings in a single location, then you’re probably out of luck with most WordPress outsourcing services. WordPress outsourcing services help you scale your business by saving you time and money. There’s no replacement for having an expert manage your site on an ongoing basis. It’s a task you can—and should—turn over to someone else if you want your business to flourish. If you have any other questions about WordPress outsourcing, please contact us.